If there is a woman that moves my heart with motivation, it’s Oprah Winfrey. She was brought up in a difficult upbringing but she did not allow that to determine her future. Yes, life is sweet and sour. I was only 12 years when I discovered my passion for fashion. I’d draw designs behind my exercise books when everyone has left for sports. I was that pumpum baby; you see me and want to bite my yellow vulpotous cheeks!! Anyway, as time passed my passion developed and I knew one day I will do something related to fashion but how will I start? There is this fear that storms one’s mind when you want to make your dreams a reality. All that came to my mind was; how will people react since blogging is a cliche? will I have viewers/followers after posting? what would people think about me? will my friends and family support me? will they think I copied them? where will I get the money to finance the shoots? will I inspire them? and the list is endless. We all have dreams, goals and desires in our hearts; it could be that poultry business, blog, photography, clothing line, law firm, partnerships, football team and anything else you have always envisioned to do. This year I have learnt that: Never let anything hinder you from achieving what you desire in your mind, spirit and soul;Putting God first in all you do is key; you should leave your comfort zone and dare to risk; Stay positive and believe you can do it. As we almost say adios to this year, create some ME time, evaluate yourself and get to know what sparks the light in you so that you can light up this beautiful world. Yaaaaas, it’s the festive season! It’s time to laugh,spend time with the loved ones and eat to your fill. If you are wondering what to wear for Christmas, try and get ankara’d. Ankara is a trend that’s here to stay. I felt so saucy in this ankara dress, it’s baby-doll,classy and leaves elegance across the streets! As usual keep doing you babes❤❤❤. Proud of how far you’ve come. Keep at it!!! You will go places.. I love this..
A prayerful woman is a powerful woman??? Yes, you know that right? I am often to blogging and i actually respect your content. The article has actually peaks my interest. I am going to bookmark your web site and preserve checking for brand spanking new information. Very inspiring intro, follow your heart. 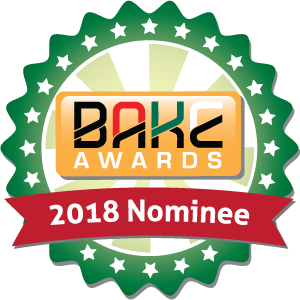 Congratulations on your BAKE nomination. We stumbled over here different web address and thought I may as well check things out. I like what I see so i am just following you. Look forward to going over your web page for a second time. Just saw you in KTN. You are such a beautiful soul full of positive energy and inspiration. Keep going girl. I like your fashion blogg..